Simple Ice Cream Loaf Cake is a simple yet a delicious cake that can be done with just 3 ingredients. There are times when you lose track of what you are to do, right? It is happening to me just now. I had forgotten that I had signed up for Recipe Swap and would have forgotten it had my partner Seema not tagged me in her write up. Thank you, Seema! And thank you Facebook! I would have done the unforgivable act of forgetting to reciprocate my fellow blogger’s achievements. 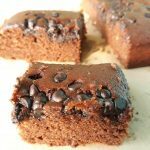 Seema blogs at Mildly Indian, do not go by the name it is a delicious repository of some delicious recipes both traditional Indian and of course western. Her recipe index is something I am in love with she has from active lifestyle food, alkalising diet, geriatric diet, teen diet, weight loss diet! I told you it is a repository. There are quite a few that I have wanted to try to make and have them bookmarked. So it would have been simple. But I have managed to land in a soup… I have signed up for Bake-a-ton too! In bake-a- ton we post 3 days a week just baked stuff. It is if you have your list ready and baked and written and pictures edited. I am at none of the above. And hence I am scrambling with pictures that I had taken ages ago and kept just for reference (I will like to think my style has improved and I am not fishing for compliments). Anyway, I needed a baked dish to make up for the big gaps in my schedule. So I went through Mildly Indian. 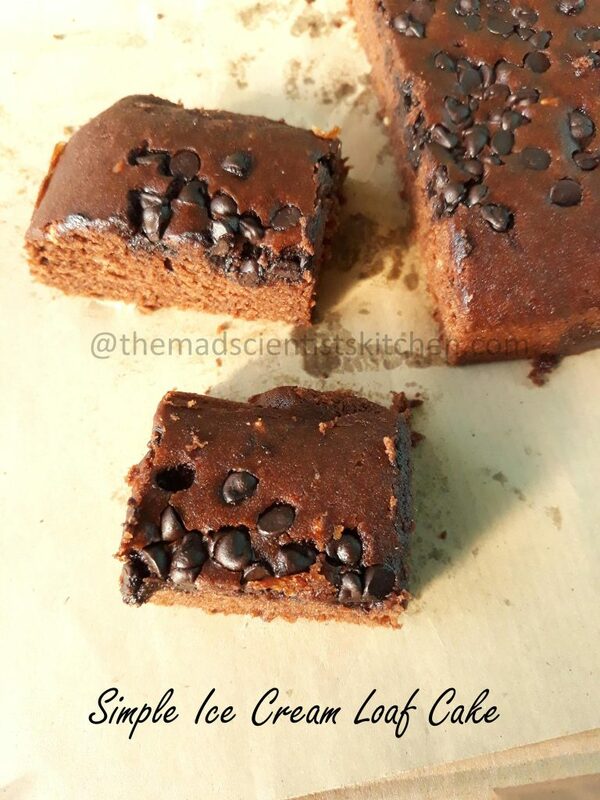 Managed to land on one delicious bake that needs just 2 ingredients. Once I read the recipe I was like is it possible? But then I went and kept the leftover well-set ice cream on the counter. And came back and baked this yummiest cake in the world. The finish is so smooth and the taste it is yum. In fact, I think that I will use the recipe the next time I need to do frosting. Seema my apologies for being a Doubting Tom! My cake is small for I had just one cup of ice cream I have halved the ingredients. The baking powder is not in the original recipe. I told you I was Doubting Tom. The chocolate chips happened to be there, after all, it was Akanksha’s birthday and she was to bake for her friends. the edges are not even as i was lazy to cut out the sides. Preheat the oven at 180°C/350F. In a mixing bowl measure out the thawed pourable ice cream. Whisk the wheat flour and baking powder. Gently fold the wheat flour and baking powder mixture in the ice cream. Do not over mix. The batter will be sticky but smooth mixture. Transfer to the prepared baking tin. Your bake is done when the skewer comes out clean. Remove the cake from the oven and let it sit in the mould for 10 minutes. Unmould and let it cool before you slice it. I have used nut butterscotch ice cream. Celebrating My 250 th Post with Corn & Sprouts Salad!! 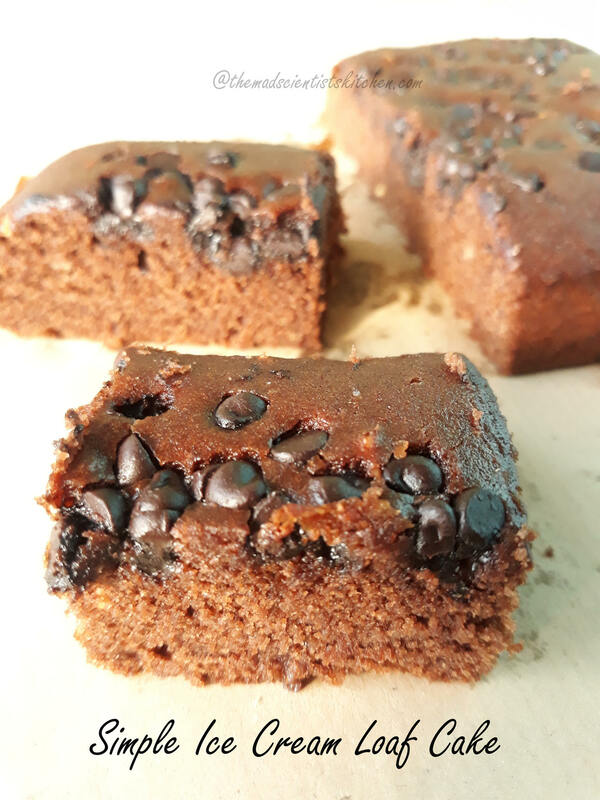 this 2~3 ingredient bake looks scrumptious, Archana 🙂 the choco chips topping is so inviting ! Wow, this is ultimate cake, just with simple ingredients what an ultimate cake na. Will definitely give a try soon. Tag me Priya! I am sure you will give it an awesome twist. That is a beautiful cake with just two ingredients. Ever since I saw this on master chef, I have been itching to try it. My Master Chef Gayatri has approved it I am fully satisfied. Intresting one Arch,sounds so simple and easy to make. I have been eyeing to bake this ice cream loaf so quite a some bit .looks beautiful and tempting..
😀 Thanks Sharmila. How are you? Long time no see. A cake made using ice-cream.. what an awesome idea. 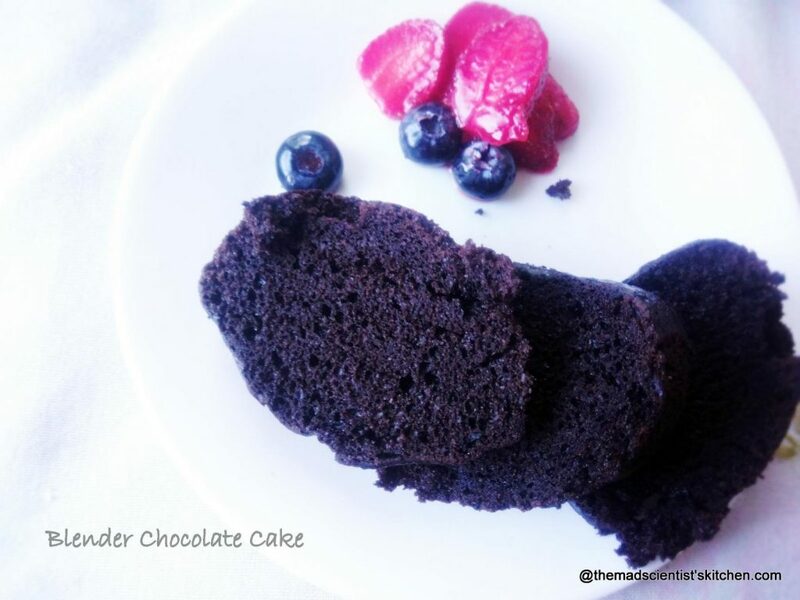 It looks delicious and looks so moist and the texture too has come out so nicely. This cake looks amazing Arch, simply too good and though I have sort of seen some videos about this ice cream being used, never really read through the recipe. This is so good will try it sometime! Wow, that is such a soft, fluffy and moist cake. With just a handful of ingredients this must be the simplest cake recipe ever. It looks sinful. wow – what a different version of an ice cream cake. Cake looks very moist. 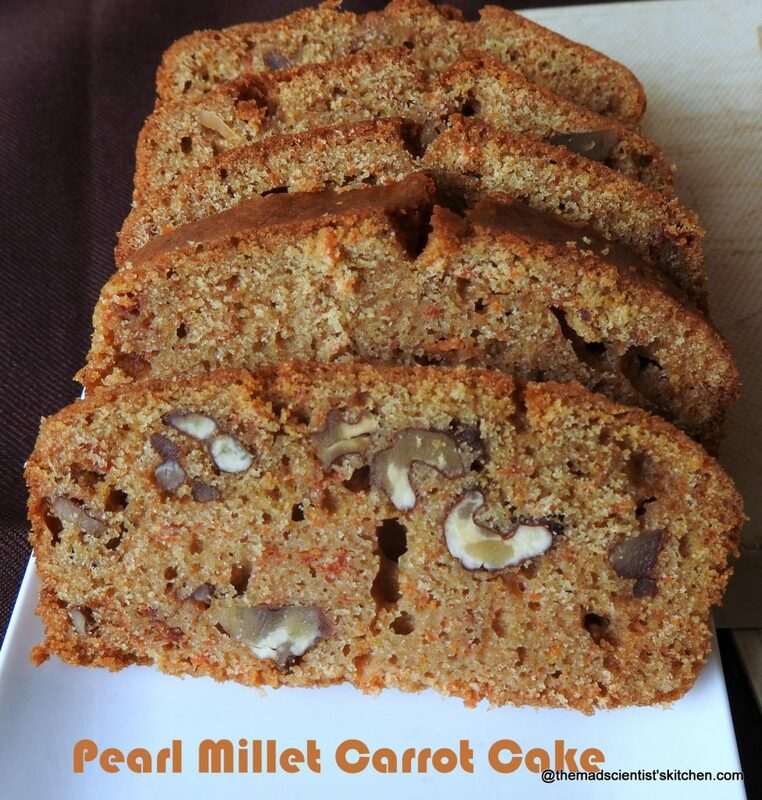 Sinfully delicious cake, looks so moist, it’s perfect for festive season!! Who would expect to be able to bake a 2 ingredient cake with icecream ? This is brilliant di ! The chocolate chips toppings look absolutely delish and inviting. I remember seeing this on Tasty, but then ice cream never stays in our fridge to use for any bakes… hehe… maybe I must sneak in some and bake… looks so soft! 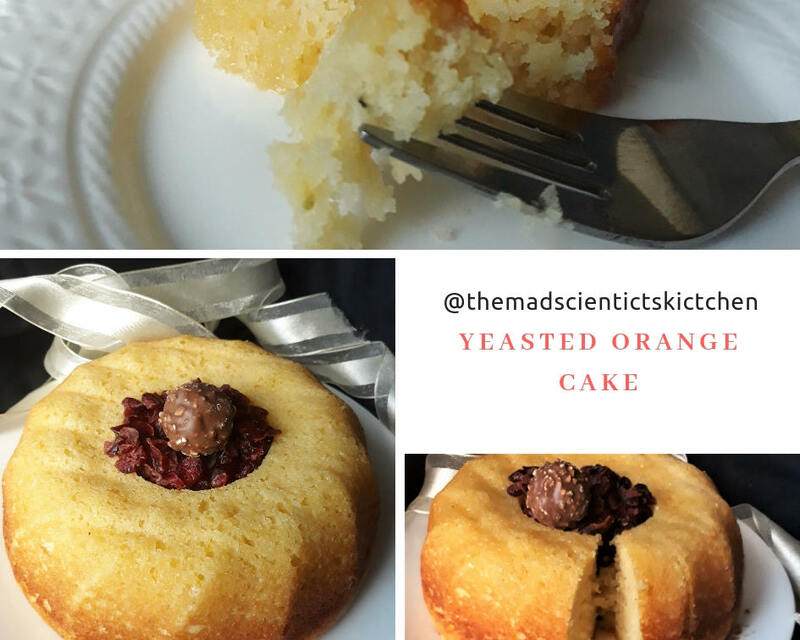 Wow, this is amazing bake, a simple cake made with just simple ingredients what else more we want. Will definitely give a try soon. My daughter had made us order ice cream cake for her birthday, two years in row. This different version ice cream cake looks delicious. Suma, I know the version you are talking about. I am yet to try it. Thanks now that it has your daughters vote I will definitely try it. Delicious and yummy cake. Would love to try this soon. This is very different from what I expected. Never heard of melted ice cream in a cake. Very interesting. are you serious ? Archana ! Now I am doubting you ! Seriously I need to try this loaf , I have loads of ice cream in the frig , will give it a try soon . You think it would have a good shelf life ? That was my reaction exactly. The loaf does not have a good shelf life. Ice cream cake with few ingredients sounds interesting and inviting. Beautiful baked. Wonderful pick Archana and perfect execution as ever. I love the moistness of your loaf as compared to mine. Yes, I didn’t add the baking powder as the ice cream felt so fluffy( couldn’t find a better word). How about the sweetness? Mine was more on the bread side of the story, we had it with jam. The shelf life in the refrigerator is about 3 weeks, as a lot of dairy elements, keeping further may not be great. OMG! Seema you certainly know how to make a person feel like Royalty! Thanks a lot! Must say I really enjoyed the cake and in case I get orders will love to make this one simple no hassle cake. wow arch, the texture of the loaf is amaing!!! I recently saw somebody posting this ice-cream loaf cake, with just 2 ingredients this is a steal!!! I m definitely trying this soon!!! Ping me Priya when you do. I will love to see your loaf.